3. 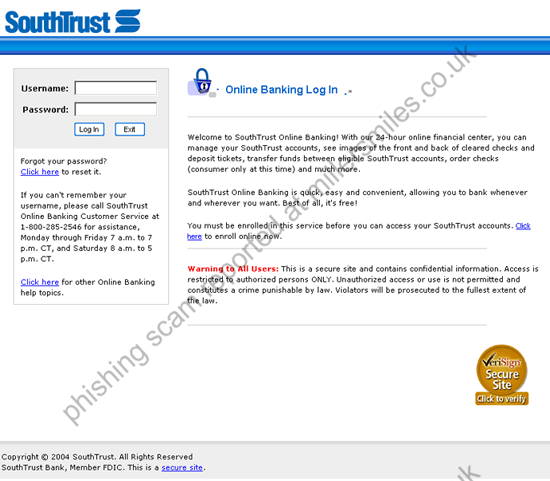 URL of spoof website disguised as " https://southtrustonlinebanking.com/retail/ ". This looks secure but is NOT! 5. Website traced to Chesterbrook, USA.
" 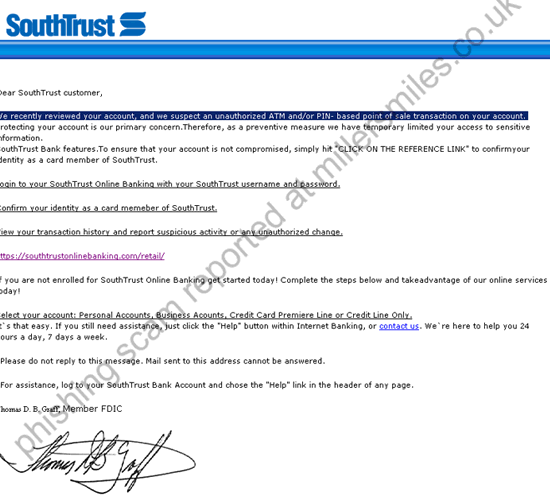 We recently reviewed your account, and we suspect an unauthorized ATM and/or PIN- based point of sale transaction on your account."